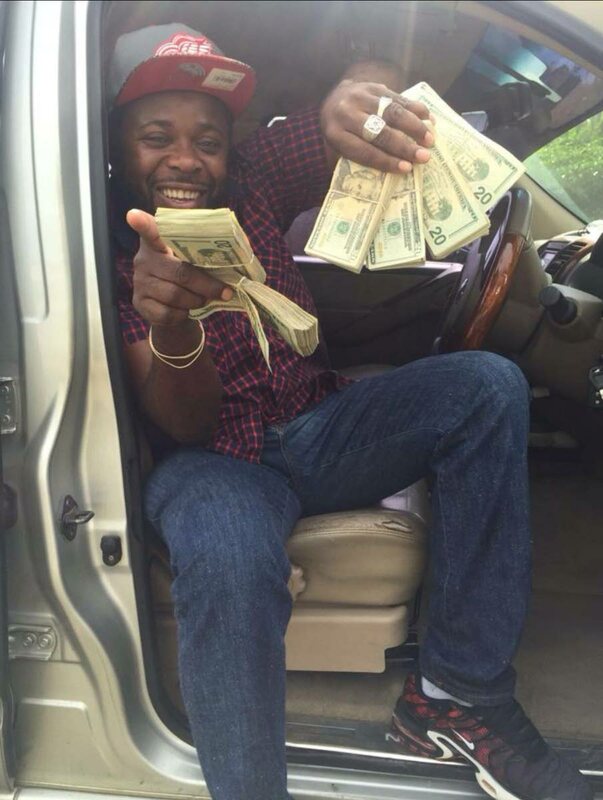 Kendell Richards, seen flashing US currency in a photo, was found shot dead in his car trunk. A Carapichaima man known to his friends and police as ‘Wicked’ was killed and stuffed in the trunk of his own car in Laventille sometime between Friday night and yesterday morning. Kendell Richards, 43, was found by police on patrol along Sierra Lane, Pashley Street, Laventille early yesterday. According to reports, the officers saw a silver Nissan Tiida, registration PDG 376, parked along the roadway and while investigating, they discovered Richards’ body stuffed in the trunk. His body was partially covered by a brown sheet. Police report he had been shot dead. Sources say the car was one that Richards rented out. Sunday Newsday visited his family’s home, in an area called the ‘Wall’ in Orange Field Road, Carapichaima. A female relative said the family does not want to say anything about Richards except they hope his soul rests in peace. As news of his death spread on social media yesterday, photos of Richards posing with wads of US currency surfaced. Other pictures of Richards wearing thick gold jewellery were also circulating. Police sources say he was a well-known figure in the criminal underworld. There was speculation yesterday that Richards, who was a Muslim, may have ventured into a Rasta area and was killed. He was the 200th person killed to date. Reply to "‘Wicked’ found dead in trunk"